Almost everything I know about magic carpets I learned from the book Can You Tell Me How to Get to Sesame Street? 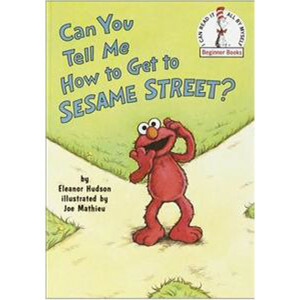 In the book, which I’ve almost memorized from reading ad nauseum, Elmo gets sucked up into the air by his kite, plummets into a pond and finally gets deposited on a magic carpet that waggles, glides, takes off and rides him to outerspace. It's a kind of magic, for kids. 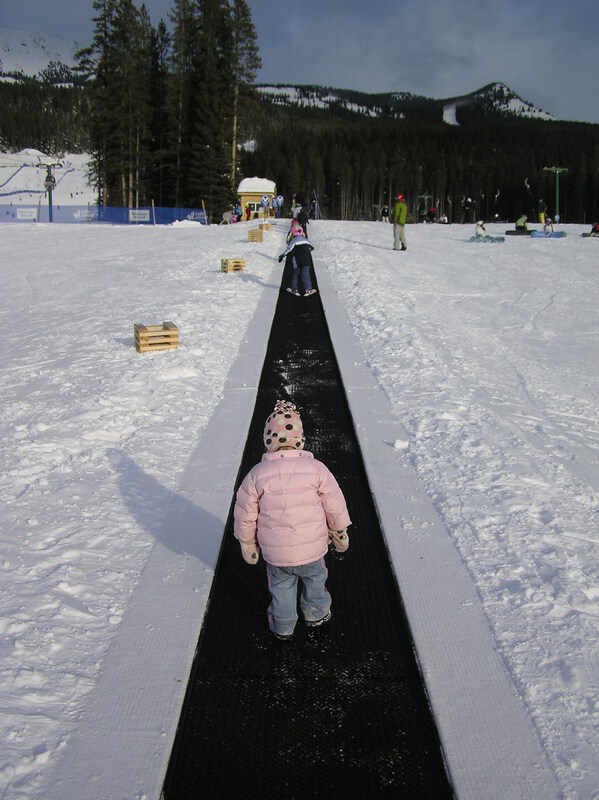 Since Avery learned to ski by doing laps on the magic carpet at Fernie, we decided it was time Bennett got in on the fun, without skis, of course (don’t want to rush things here). 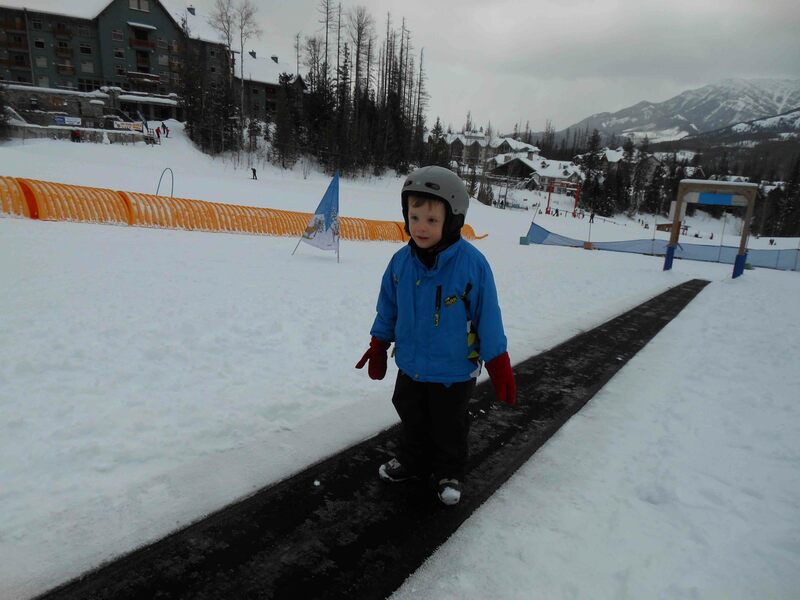 We lodged his feet into his ski boots, popped a helmet on his head and tried to cajole him into walking to the bunny hill. Since ski boots weigh as much as concrete blocks, he refused to budge. Blake carried him halfway there and he grudgingly walked the remainder, only because the magic carpet was in sight. Since no one appeared to be supervising, I hopped on the miracle munchkin mover and rode to the top behind Bennett. Pretty sure a three-person pileup on the magic carpet is frowned upon. At the top there was a worker sitting on a bench whose job, I gathered, is to make sure no little kids fall off the conveyor belt or get sucked under when they reach the top. He was also in close proximity to a red emergency stop button, just in case there is a kid pileup or some other magic carpet hazard (hard to imagine at a velocity of about three clicks per hour. Yes, it’s as slow as the airport ones). Bennett rode up the magic carpet about four times before turning to me and saying, “I want to ride magic carpet, Mommy.” “We’re on the magic carpet honey. Isn’t this fun?” “No, that one,” he said, pointing quite clearly to the three-person chairlift next to the bunny hill. Even Bennett knew he had a way better chance of getting to outerspace on a chairlft. 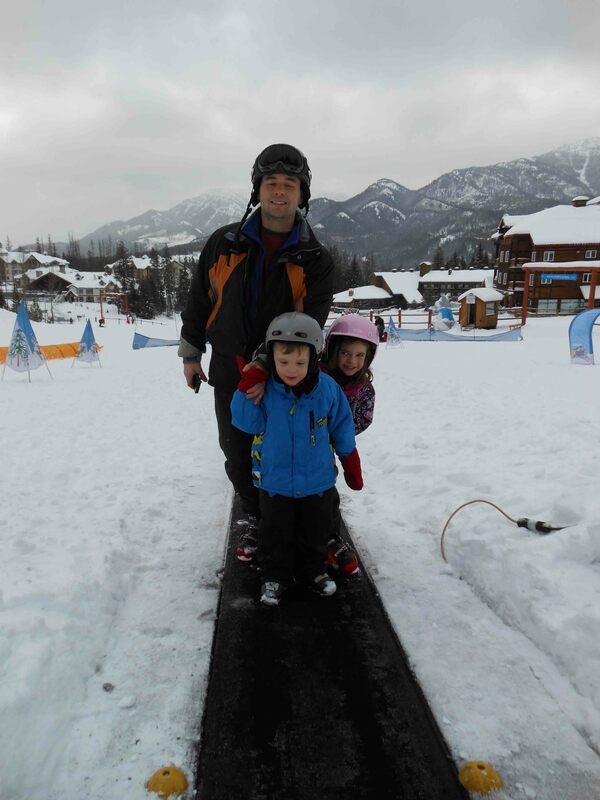 This entry was posted in Potpourri, Travel and tagged bunny hill, Fernie, Fernie Alpine Resort, learning to ski, magic carpet, skiing with kids. Bookmark the permalink.